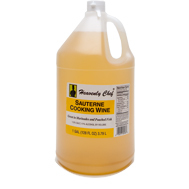 Use our cooking wines in place of water to coax the hidden flavor potential from sauces, marinades, glazes, and sautés. 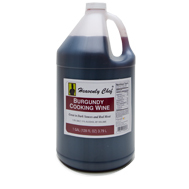 All our cooking wines come in 1, 55 and 275 gallon sizes. A medium bodied red excellent in red meat marinades and dark sauces. A dark mild flavored wine ideal in chicken, duck, veal, lamb and hamburgers. 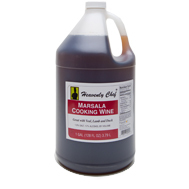 Subtle yet distinct, this is a light white excellent for marinades, stir-fries and poached fish. An amber red wine with a nice body and a hint of walnuts, great in pasta sauces, stews and cream soups.